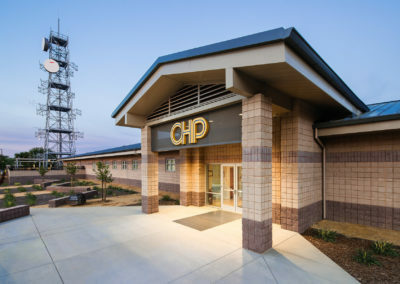 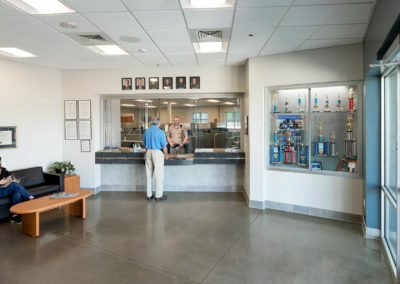 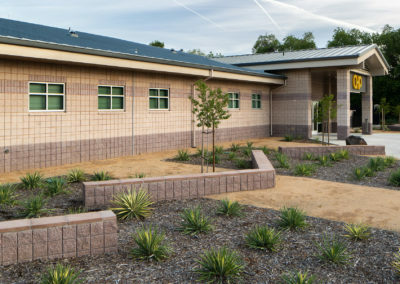 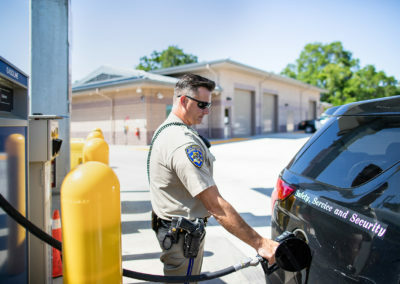 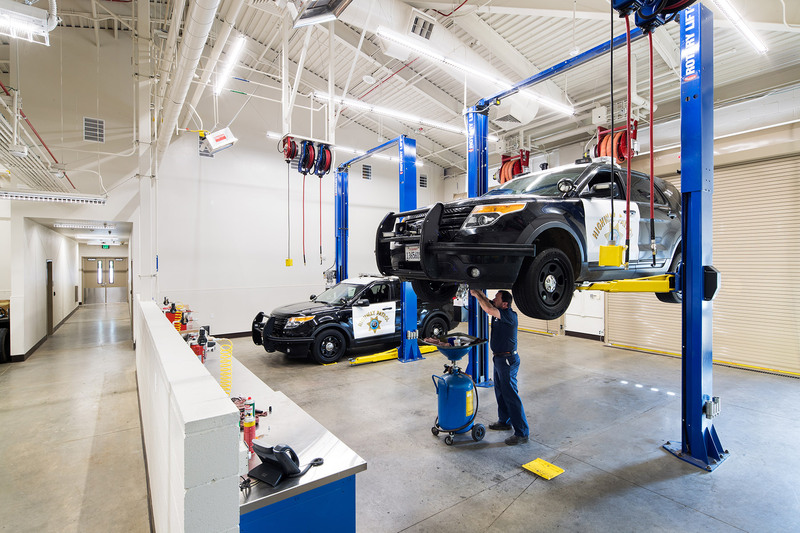 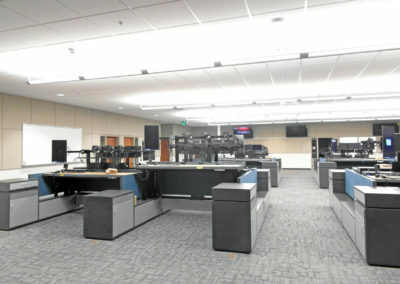 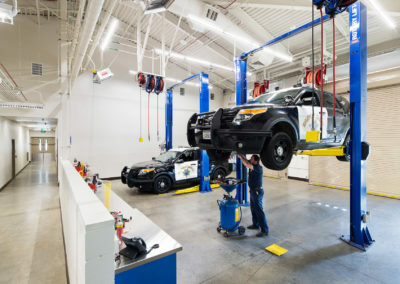 Completed in 2017, this new facility is located at Southgate Lane and State Highway 99 in Chico, CA. 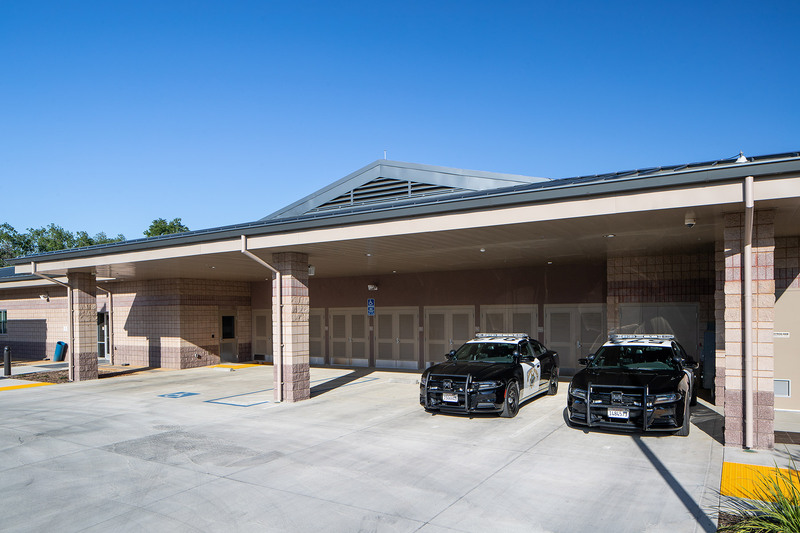 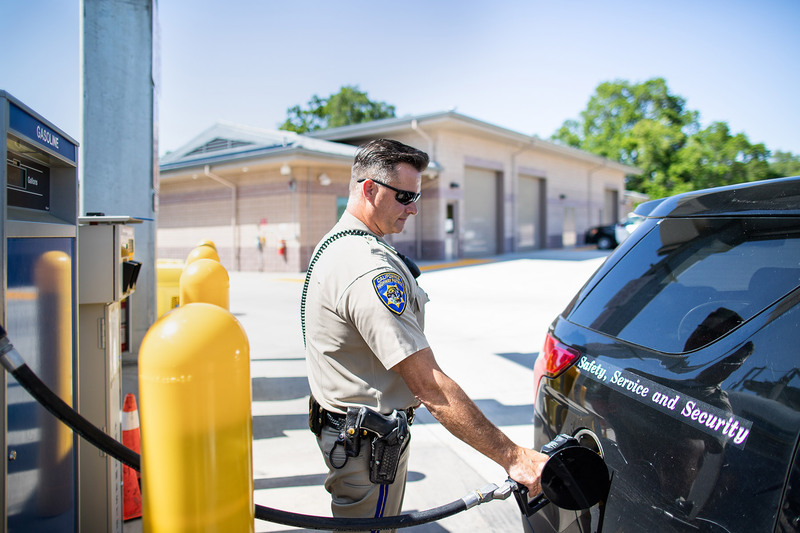 The project site is 5.9 acres and includes a public parking area, truck inspection area, secure fenced parking, fueling station and three buildings. 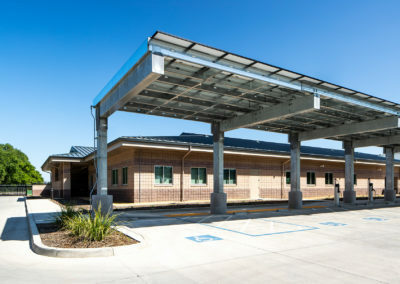 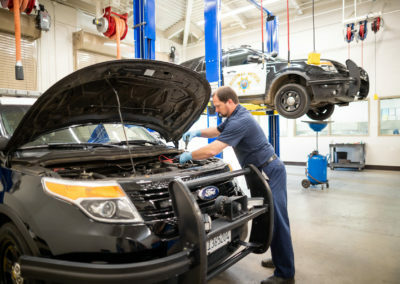 The three buildings include Building A – Area Office Building, Building B – Auto Service Building, and Building C – Waste/Recycle and Equipment Storage. 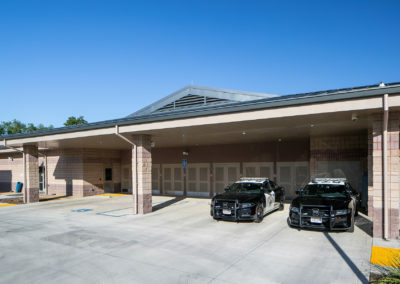 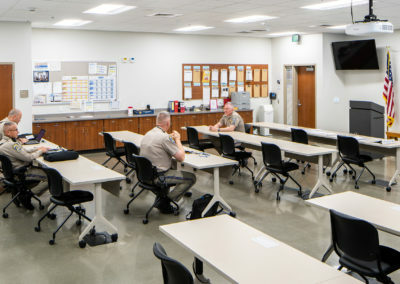 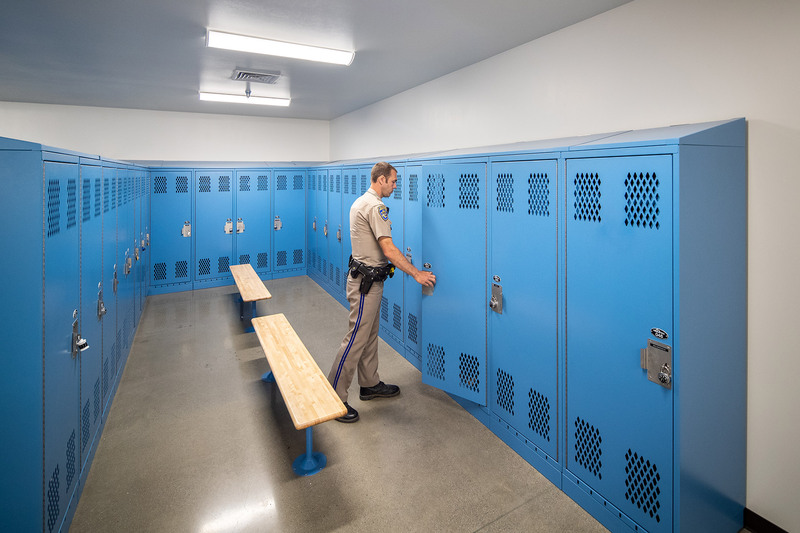 Building A (31,291 sf) includes administrative offices, locker rooms, dispatch area, evidence room, intoxilyzer/interview rooms, briefing room, armory, issue room, staff break room, public lobby and conference room. 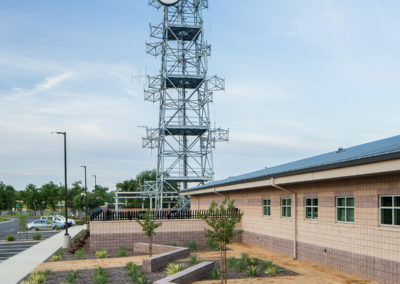 Building A also includes a gun cleaning room and radio vault with the antenna tower immediately adjacent. 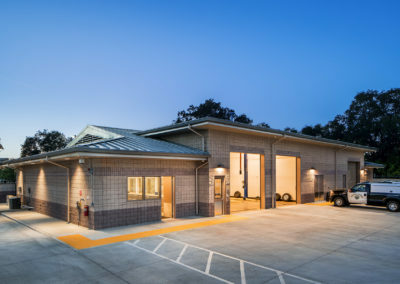 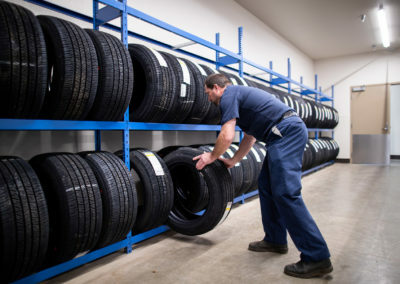 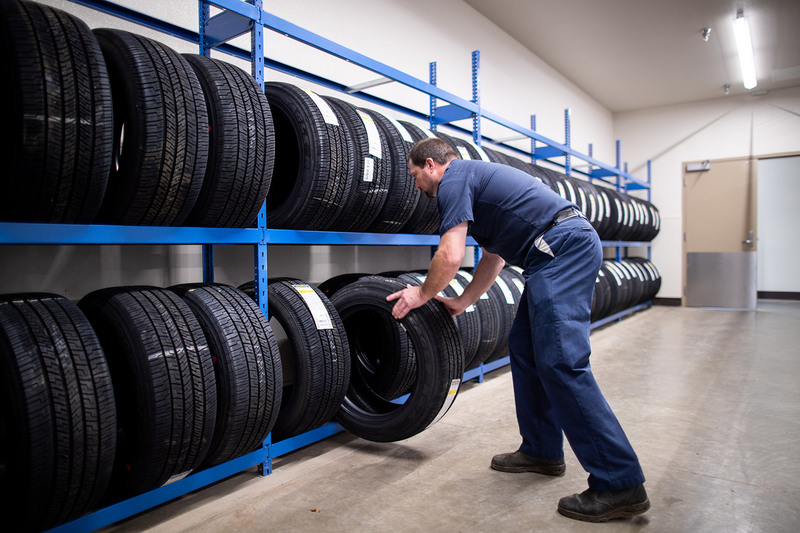 Building B (7,328 sf) includes office area, auto service bays, tool storage, service equipment area, parts storage, new and used tire storage, vehicle wash bay, fluids storage, air compressor and waste oil storage. 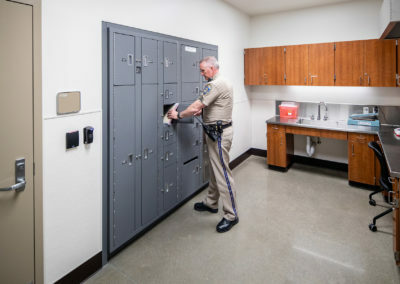 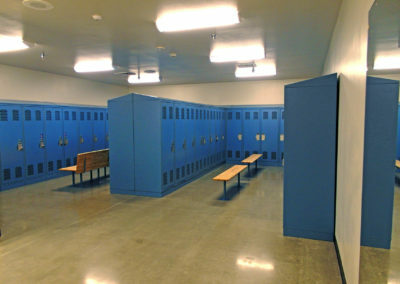 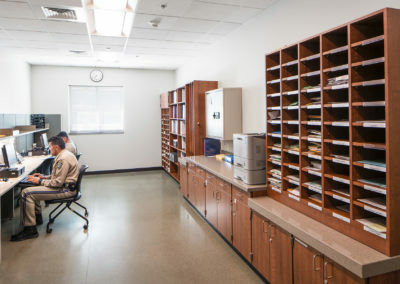 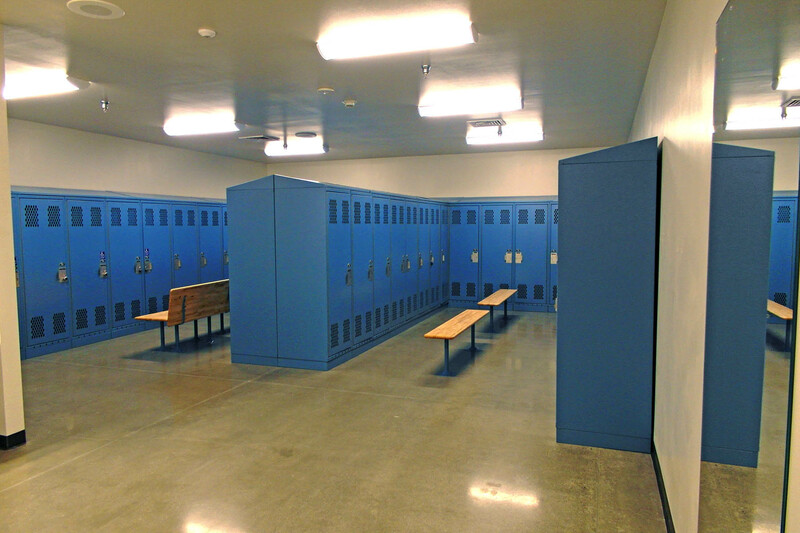 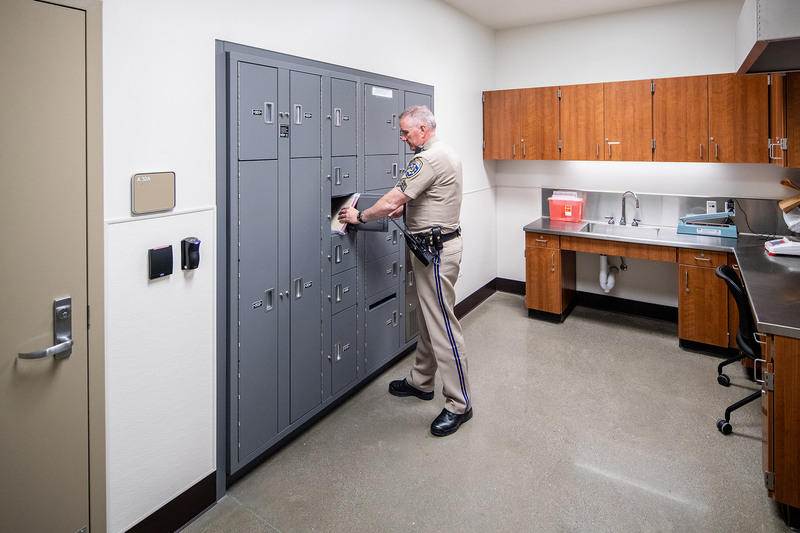 Building B also includes bulk evidence storage and secure storage rooms. 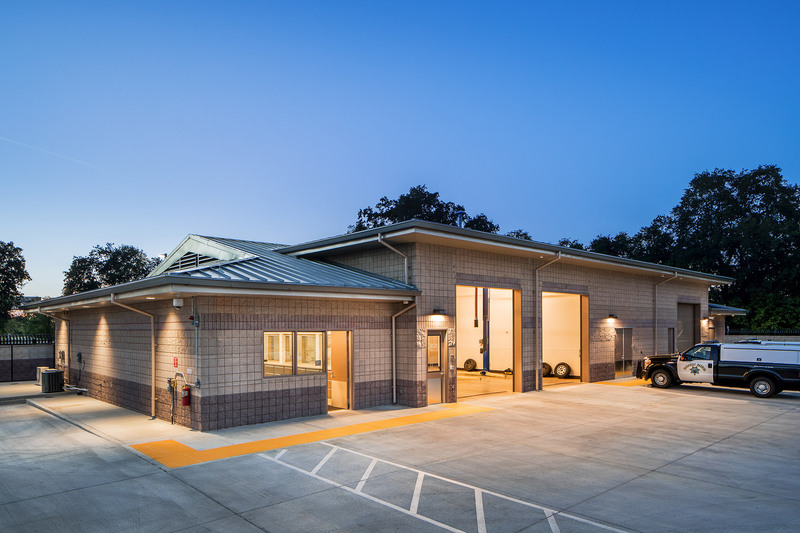 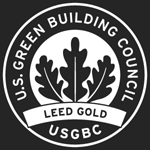 Building C (786 sf) includes a covered open-air waste and recycling bin storage area and an enclosed equipment storage area. 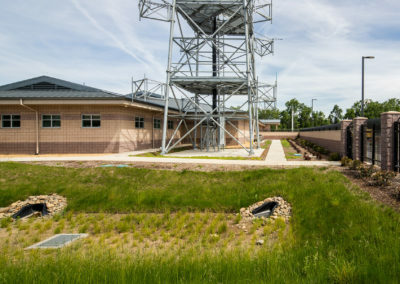 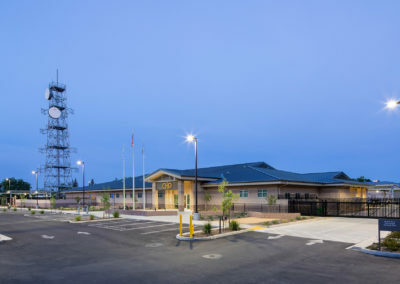 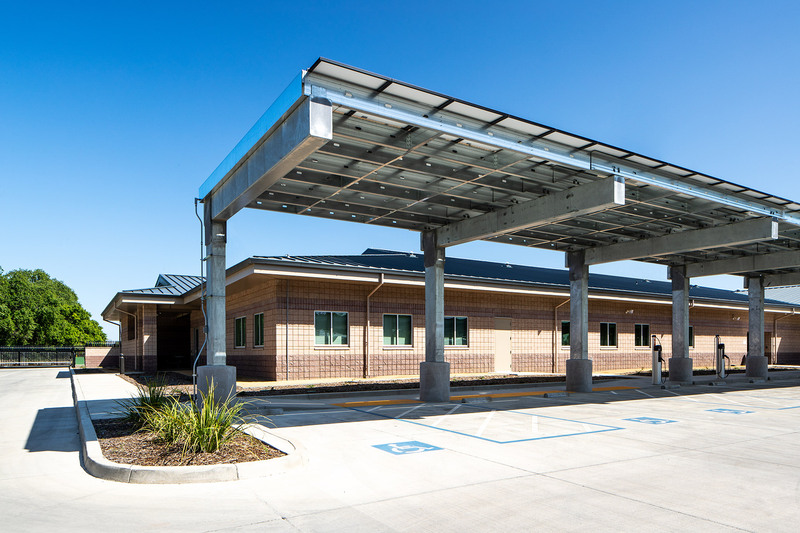 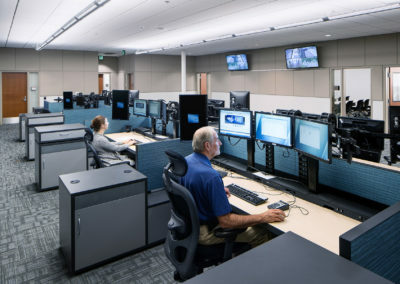 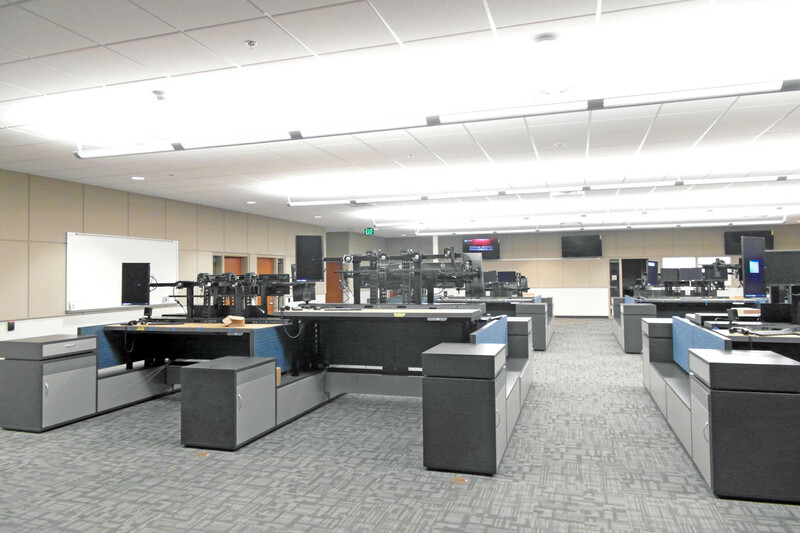 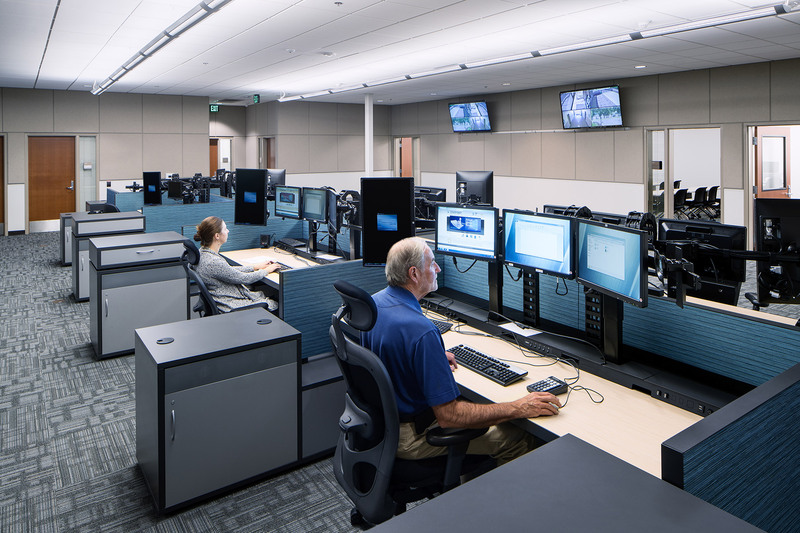 The site includes 14,458 sf of PV shade structures, a 120í high free standing communications tower, radio equipment vault, connecting wave-guide bridge, and emergency generator. 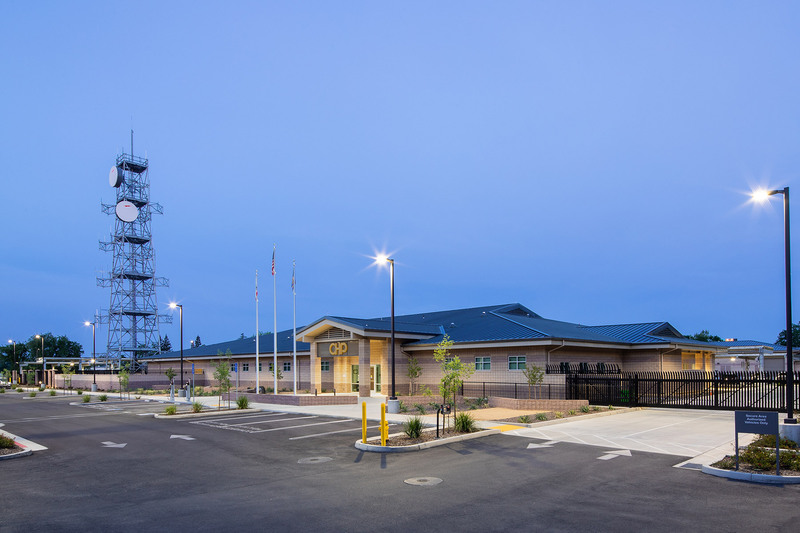 Tower work included the design of the tower, antenna mounts, wave guide ladders, climbing ladders, grounding, and foundation system. 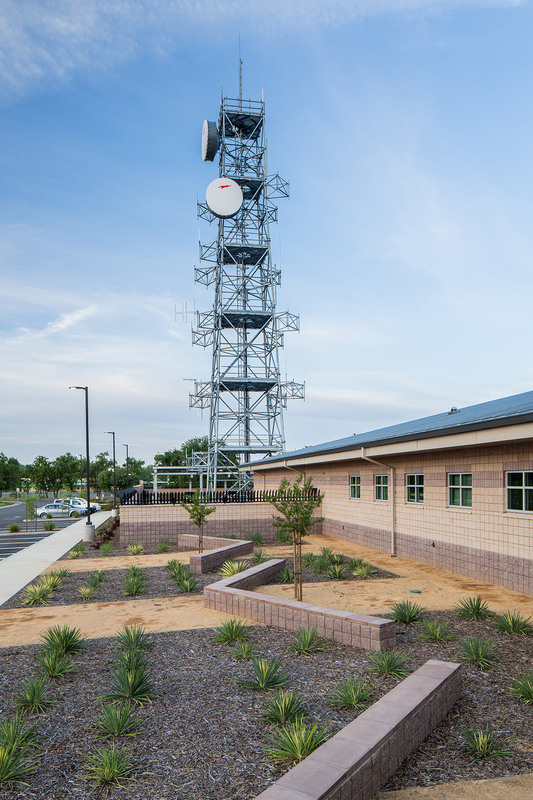 Radio vault work included the building design, rack and cable tray design, HVAC, security and telecommunications.